56 years after the massacre, when Turkey has become a hell for labour and women, we now need to make additions to this historical timeline. 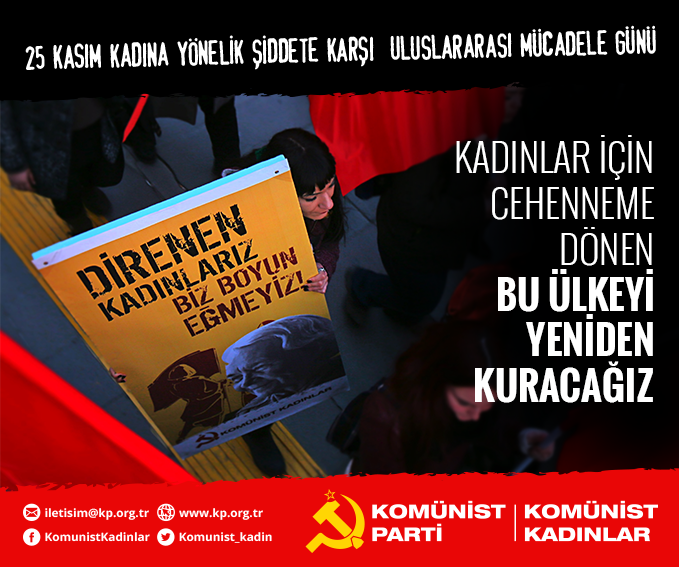 When the busses which carried 19 years old Ozgecan Aslan to death and the medicine worker Aysegul to being kicked by a zealot; the serial murders of women; the reactionist mindset which is deeply occupied with marrying underage girls off; countless abuses, rapes and assaults will be thrown away, the history has been updated. We live in a country which is transformed into a hell for women by the mindset that refers even the violation against women to “the hereafter”, that invites public to preventing violation with “prayers”. While the reign of money is consolidated with the darkess of zealots in houses, schools, streets and workplaces; while the reactionist ministers with almond-shaped moustache shake hands with bosses with no moustache, exploitation and violence burden on women’s shoulders increase. We experience every form of violence so systematically and consistently that there is no need for a new statistics or an updated list of female extermination for proof. We know our steps get faster on a dark street in the evening. We know the news announcing murders of women, tearing our heart out. We know the murderers who “defend their male dignity” or “implemented Sharia provision”. We know the authorities claiming “Unemployment will end if women do not work.”, asking “What is her job to do there at this hour?”; the TV shows produced to make women say “My husband decides for me.” and the mouths ordering us “to be a ladylike model and not to defend our rights” in workplaces. True indeed! There is a huge danger for your misogynist, worker antagonist, dark system. In houses, schools, streets, workplaces. We are the worker women who do not submit. We are here. We will rebuild this country!